Ghost is great and simple to use blogging platform, with clean and easy to use interface, having just the options that every user need in order to create and maintain their blog. 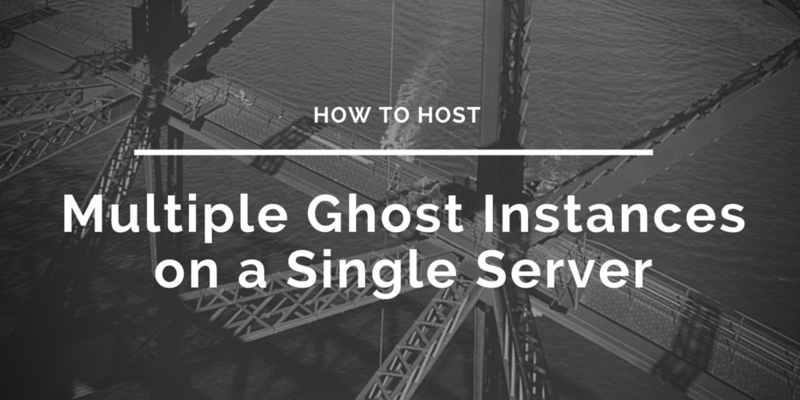 In this tutorial we will discuss how to have more ghost instance on a single Ubuntu server, each of them completely independent having its own content and specific settings. We are assuming that we already have one ghost single instance properly running for our domain my-first-blog.com using Nginx as web server. As long as we are using different port number, we can repeat this procedure as many times as we need and have multiple blog instances hosted on our server.